We love seeing teams of riders get together and support each other. That's why we started our annual Team Challenge many years ago to give teams of three or more riders the opportunity to score points and for the champion team to win an extra special prize. If you haven't already heard of Soloshot, they make and supply units that automatically pan, zoom and tilt whilst tracking a GPS tag attached to the subject, in this case, the rider's arm. Ruth in our team has a Soloshot 2 and uses it regularly to film training tests and sessions with her trainer, freeing up everyone else's time but more importantly having a very useful record of how she's progressing. 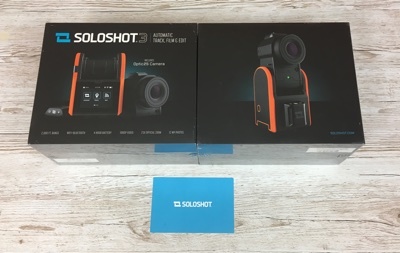 The Soloshot 3 is available to purchase in the USA and is shipped worldwide by Soloshot. To find out more about the Dressage Anywhere Team Challenge, have a look at our League page.